This blog had been brewing in our head for the last one year. 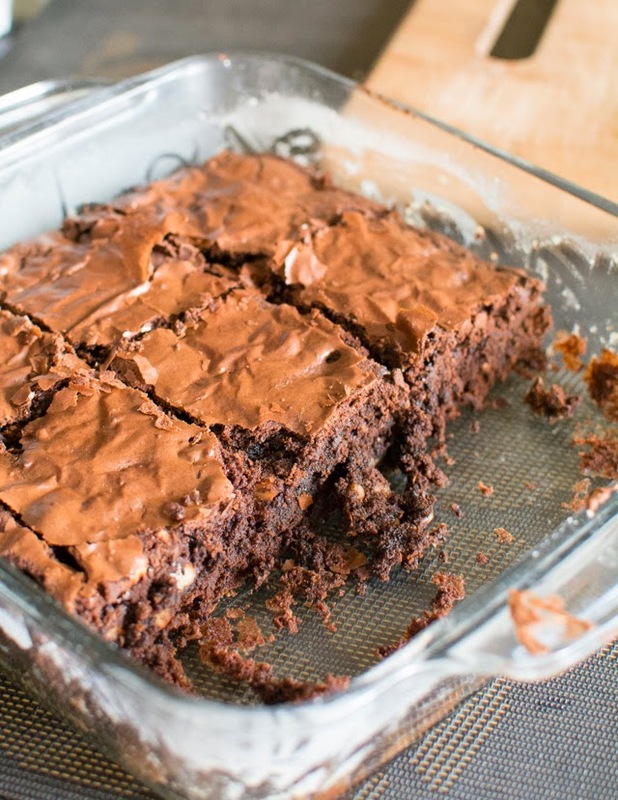 Finally, we baked gooey walnut brownies! 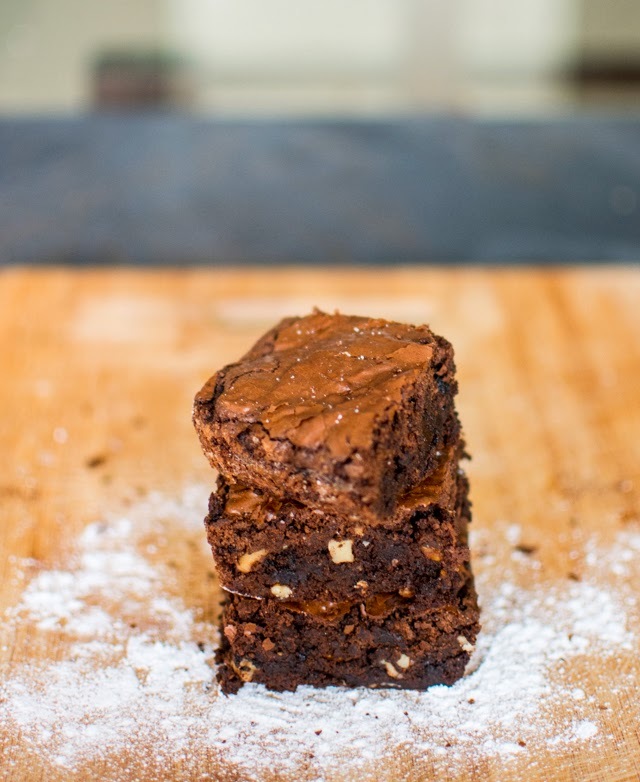 Ever since the baking bug bit us, N was obsessed with baking perfect Gooey Brownies, slightly crisp on the top but soft and ooey-gooey inside with just that rarely found balance of deep rich chocolate flavour and sweetness! 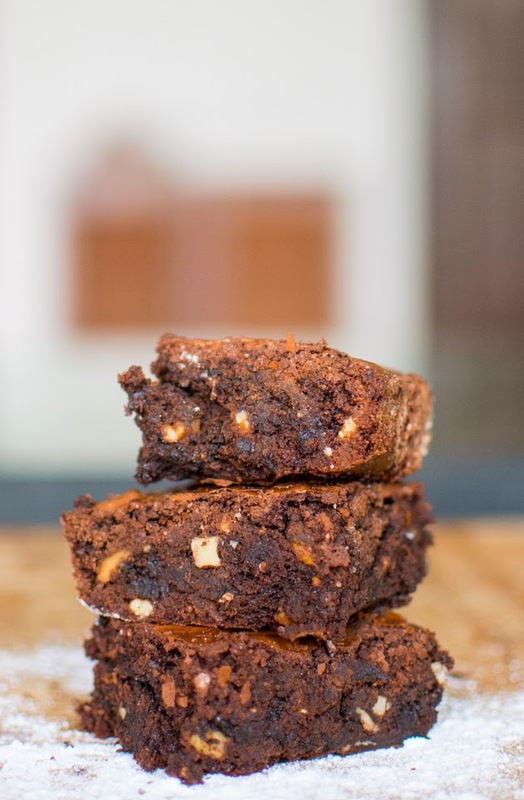 What you will love about this recipe is the distinct flavour of espresso coffee and sea salt crystals. 1. Heat the butter in a pan till golden brown. 2. 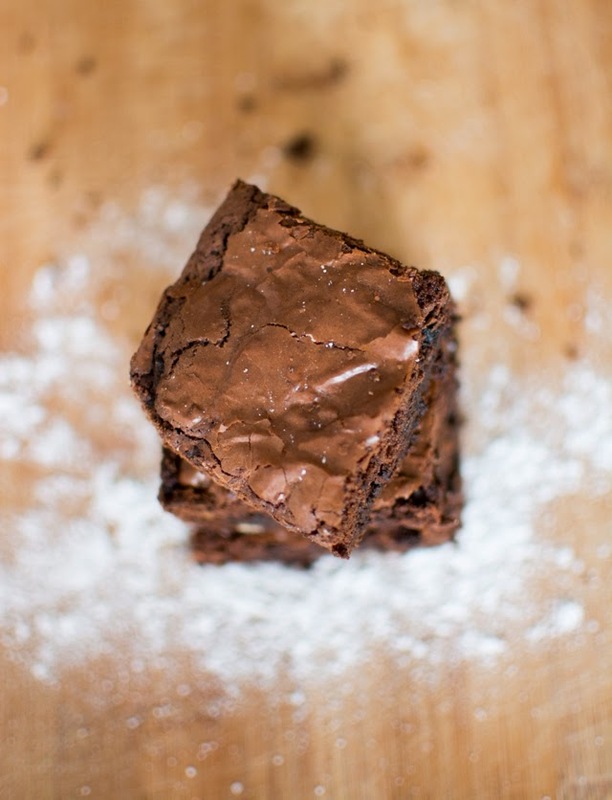 In a bowl, mix flour, sugar, cocoa powder, baking powder, sea salt, coffee powder and vanilla extract. 3. Add melted butter to the bowl and mix well till you get crumbly mix of all the ingredients. 4. Add egg one by one and mix till you get smooth and shiny batter. 5. Now, throw in chocolate and walnuts and mix well. 6. Let the mixture completely cool down. Meanwhile, pre heat oven at 160 degrees centigrade for 10 mins. 7. Cover your baking dish with parchment paper. If you don't have parchment paper, grease your dish and dust with all purpose flour. 8. Transfer the batter to the dish and bake it at 160 degrees for 25 - 30 mins (depends on your oven setting ) with both heating elements on. 9. Check by inserting a toothpick / knife. It should almost come clean. 10. Before cutting, let it completely cool down for almost 1 - 2 hrs. Warm before serving. It of course goes really well with vanilla ice cream. Thanks to cookieandkate.com for the base recipe which we adopted. how many gms is 1 cup as per the recipie? Did u use the measuring cups? It should be approx 120 gms.. I used measuring cup. I leveled the floor in it. neither heaped it nor less.